Now that the holiday season is approaching, I’ve started to consider how I can best assist those looking for jobs over the holidays. I am reminded of an important lesson that I learned from my daughter and her soccer coach. About this time last year, Anna, my then-12 year old daughter, had just wrapped up the Fall soccer season. She plays for an elite travel team and it requires a lot of dedication, as the team continuously strives to take their game to the next level. I asked if the coaches had any post-game messages as the season closed out. She said they told the girls to go and forget about soccer for a couple of months - play Winter basketball, reconnect with friends, and just go be a kid for a while. She had a confused look on her face, so I told her that the coaches wanted the team to rest, and come back in the Spring all refreshed and ready for a new season. 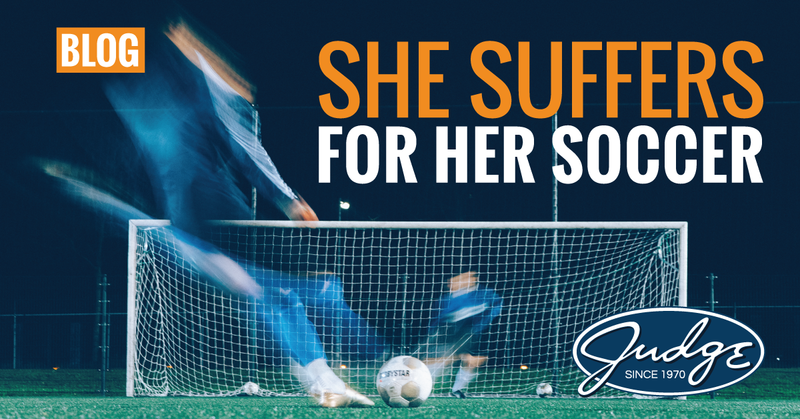 In other words, “they want you to miss soccer.” She replied, “Why? Do they want us to suffer?” It was a great response, because it captured the brutal innocence of someone who truly loved the game; not to mention, it exonerated my wife and me from any parental influence! If only you could jump behind their desk, see what they see, and have a view of the whole picture, you might find that they simply had other options: an internal candidate transferred in; they lost funding; their supervisor introduced her cousin to the opportunity; and an endless array of other reasons. Maybe the timing is off, or you were the 128th applicant to the job posting. In that case, the manager will probably never see your resume. There’s a great feature on LinkedIn’s Suggested Jobs that is actually quite handy. It let’s you know that “your profile is in the top 50% of 128 applicants”. If that’s the case, it’s time to move on. Don’t bother applying to a role that may place you at 64th on a long list of candidates. You want the jobs that indicate your profile is in the top 10% of 20 applicants (or less). Just keep in mind, it’s not always you. Most times it’s a combination of things beyond your control. What you can control is this: apply to jobs for which you truly qualify. If you reach too far out of your scope, it will only add to the frustration you may be experiencing, and that will eat you up. So let’s talk about timing. As the holiday season approaches, we are entering that time of the year that is both exciting and daunting. From Thanksgiving to New Year’s, and everything in between, we will have many occasions to get together with family and friends. It’s a time of year that we were meant to enjoy. Staying with the soccer analogy, it’s the off-season. For those that are in the job hunt, the holiday season can represent the dead zone, as many companies will curtail their hiring processes until the new year. If your job search has been dragging on, this can create a heavy burden during “the most wonderful time of the year.” So don’t let it wreck your holidays, and don’t let it cast a dark cloud on what should be a time of celebration. Put it aside. This temporary hiring freeze represents a great opportunity to take a break from the hunt, spend time with family and friends, and shift your focus to enjoying the holidays. A job is a job, but your family is precious. And they want you there – all of you - to share the holiday cheer. Once the decorations have come down, and the champagne bottles have been recycled, pick it up again. The time away from the job hunt will have hopefully been therapeutic, and you can jump back in (freshly focused) when everyone is rowing in the same direction again - reviewing resumes, scheduling interviews and extending offers. Until then, miss the game, rest your soccer legs and go be a kid. But please don’t suffer.